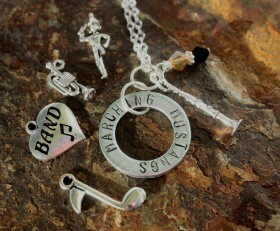 We will customize a necklace for your school’s band AND you can choose the charm to go with it. 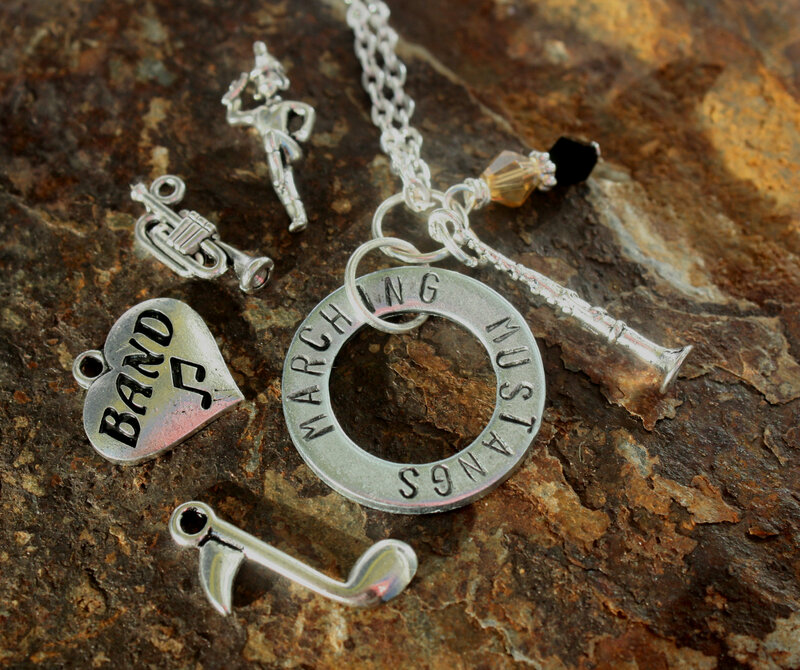 Choose from a Clarinet, Trumpet, Majorette, Musical Note or Band Heart. We will also add Swarovski crystals in your school’s colors. You select your charm before checking out. When you check out, UNDER the shipping address info, is a box to enter Order Notes. Enter in the name of your school and how you want it stamped AND the colors of your school. We will then customize for you. Categories: A Little Bit of Everything, High School Teams, Shop, Sports.